Search through the latest available University Park East real estate listings in East Regina below! University Park East is located in south east Regina. 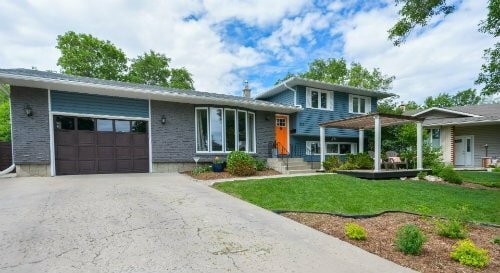 Arcola Avenue is to the north, Edinburgh Drive is on the east border, Assiniboine Avenue East to the south and the Pilot Butte Creek and Pathway with its expansive green space flanks the west side of this community. As you turn onto Edinburgh Drive you are greeted by Tudor-style homes featuring steep pitch roofs, decorative timber framing, and charming dormer windows. The use of brick, wood siding and cedar shakes takes you back in time and truly sets University Park East real estate apart, reminding you of quality craftsmanship and skilled tradesmen. 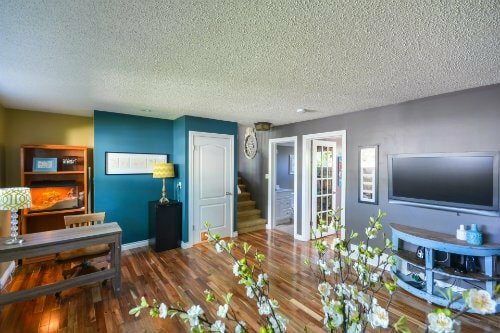 Find the best University Park East homes for sale available below, or learn more about this popular Southeast Regina community. Mixed among these large Tudor-style family homes are Prairie-style houses that provide an architecture that pleasingly blends with the formality of the Tudors. University Park East homes for sale have generously sized yards with mature landscaping that are perfect for family gatherings. The homes in University Park East are perfect for the growing professional family who is ready to entertain friends and family on weekends. If you are looking for a quiet neighbourhood with great walking paths and peaceful evenings with the sounds of nature around you, University Park East is the place to call home. Along the west side of University Park East is Westminster Park that joins the Pilot Butte Pathway. This large greenspace has paved pathways perfect for biking, roller blading, jogging, or taking a leisurely stroll with friends and family. There is easy access to Arcola Avenue that leads you straight into downtown Regina or to Ring Road. Take Assiniboine Avenue for a quick exit to Ring Road S and you are just minutes from the University of Regina and Saskatchewan Polytechnic. Are you interested in learning more about the University Park East homes for sale? We encourage you to contact the Tourney Group online or call 306-789-1700 to connect with an experienced Regina real estate agent.